FLAU developed two standardized and ready-to-use products for domestic wastewater treatment: BioGyr® and BioBox®. This process is particularly suited to small communities from 500 to 50 000 inhabitants. The pollution reduction is possible through the formation of a trickling filter at the bottom of the lagoon. This technique, one of the oldest methods of wastewater treatment, has the advantage of being simple, reliable, and have few parts subject to wear. 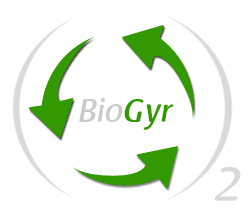 BioGyr® presents many economic, environmental and operationnal advantages. BioBox® is a compact and mobile wasterwater treatment plant for dense and isolated habitats, where the treatment solution has to be swiftly implemented. This SBR (sequential batch reactor) comes with a standard complement of equipment for sludge treatment. Its special feature is to feet to the standard format of a 20 or 40 feet container, making it portable with low-cost and easy to implement. Moreover, BioBox® is modular: its unit capacity is about 300 PE. 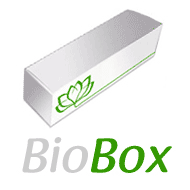 The overall capacity of the facility may be increased by the addition of one or more other(s) BioBox® to create treatment plants adapted to each situation.